@TurfTruth is a new anonymous Twitter account, as of October 26, 2018. The account claims to be the "Source of truth for all things turfgrass. BS on a scale from 1-9. 1=no BS, 5=minimum acceptable BS, 9=pure BS." 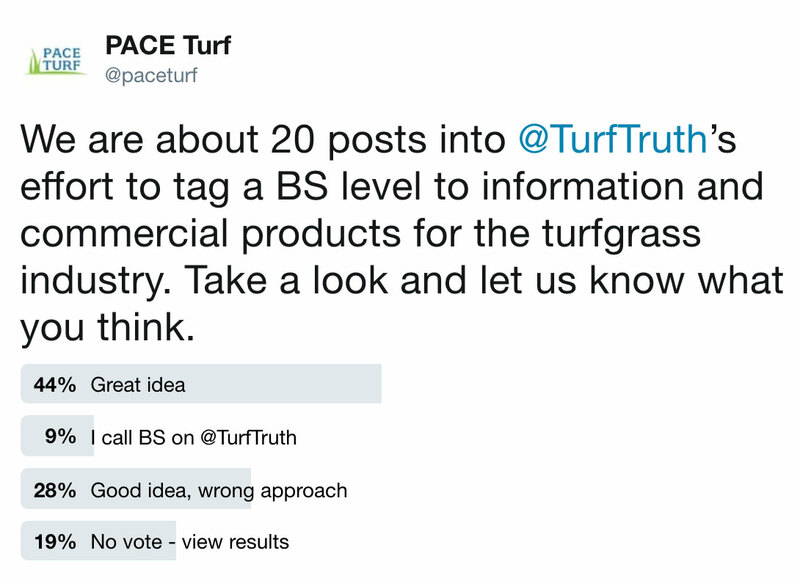 It appears that lots of turf managers are interested in this type rating "method" for products and practices (77% like the general idea). Unfortunately, there are no methods associated with the rating method and there is no way to evaluate the qualifications of the account owner, two factors that PACE Turf considers when reviewing recommendations.